Download VCH Application/Code of Ethics or complete the form below. 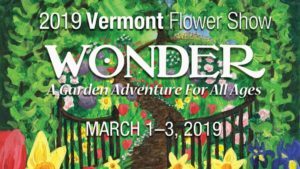 To receive your certificate and become an official Vermont Certified Horticulturist, please submit a completed application with all attachments, a signed code of ethics, and $35.00 ($50.00 for non-members) payable to VNLA at the above address. • Two (2) letters of recommendation from Green Works/VNLA members. (Please attach to application). • Six (6) years of *full-time nursery, greenhouse, garden center, landscape or related employment or three (3) years of *full-time employment and two (2) years minimum of post-secondary related school education, or one (1) year of *full-time nursery employment and a bachelor’s degree in a horticulture related field. *Full-time is defined as a full growing season, spring to fall. Check the categories below that best describe your company’s primary business? 1. Review the code of ethics, sign it and agree to abide by it. 2. Pass the exam. The examination will consist of two parts. The first will be written and consist of 150 questions based on this study guide, each question worth one point. Terms are key part. You do not need to memorize tables (for future reference only) or steps in processes (like building a wall), or lists (like of regulations), except as items are in italics or bold. The second part of the exam will consist of identification based on lists in the manual and photos from the linked websites, each question worth one point, with 50 questions (10 each of perennials, trees, shrubs, pests, diseases). You must achieve a successful score on the certification parts of at least 70% correct answers on each. Parts of exams may be retaken independently if they are not passed. 3. Exams can only be taken by candidates that meet the above eligibility requirements. Exams will be given at the VNLA annual winter and summer meetings, or by appointment with Dr. Leonard Perry, Department of Plant & Soil Sciences, University of Vermont, Jeffords Hall, Burlington, VT 05405; 802-656-2630, leonard.perry@uvm.edu. 4. Certification examinations will be based on the Vermont Certified Horticulturist study manual. Manuals may be obtained from the VNLA office, P.O. Box 92, N. Ferrisburgh, VT 05473. Cost for the manuals is $50.00 for VNLA members and students and $75.00 for non-members (subject to change). Checks made payable to the VNLA must accompany the order. You may also purchase the manual with a credit card. 5. A test fee of $10.00 for VNLA members and $25.00 for non-members must be paid at the time of testing. All who pass the exam will be notified by mail and/or email. A VCH Application, signed Code of Ethics, and a processing fee of $35.00 for VNLA members and $50.00 for non-members must be sent to the VNLA Office. The Board of Directors will then vote on the application. Once approved, a certification notice will be sent out. 6. A VCH must earn 10 continuing education credits related to horticulture yearly (see listing in section following). The renewal application is sent out in October of each year. The forms and fee must be submitted by December 31 or the VCH status will expire. 1. Uphold the highest standards of professional comportment in the conduct of their occupational affairs/horticultural enterprise(s). 2. Demonstrate an uncompromising commitment to the advancement of horticultural knowledge and its associated industries. 3. Provide honest and impartial advice only on subjects about which they are informed and qualified through professional training or experience. 4. Honor the rights and accomplishments of others and properly credit the work and ideas of others. 5. As mentors of the next generation of horticultural leaders, strive to instill these ethical standards in students at all educational levels. 6. 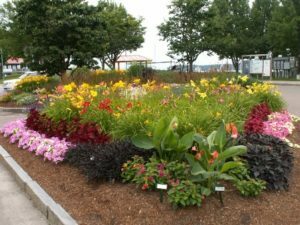 Refrain from representing themselves as spokespersons for the Association without express authorization of the Board of Directors of the Vermont Nursery and Landscape Association. 7. Refrain from using any distinguishing emblems or titles of membership/certification in the event that such membership/certification is not renewed or is revoked. I AGREE TO THE ABOVE CODE OF ETHICS WITH NO RESERVATIONS IN MAKING THIS REQUEST FOR CERTIFICATION. Please remit within 30 days. Upon notice, membership will be terminated if payment has not been received by the end of the current calendar year.